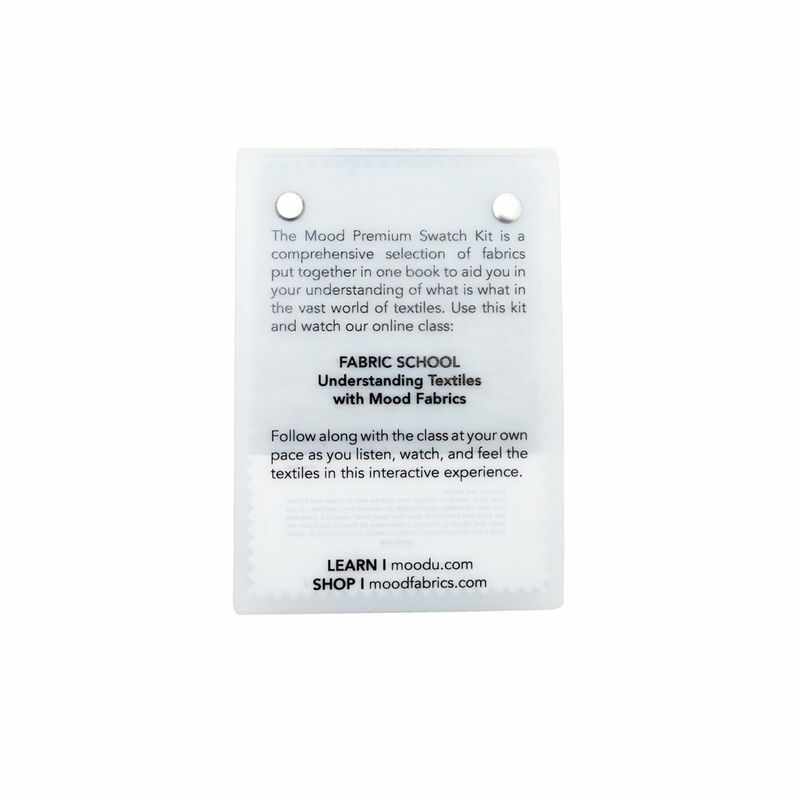 You will earn 100 Mood Points for purchasing this product. 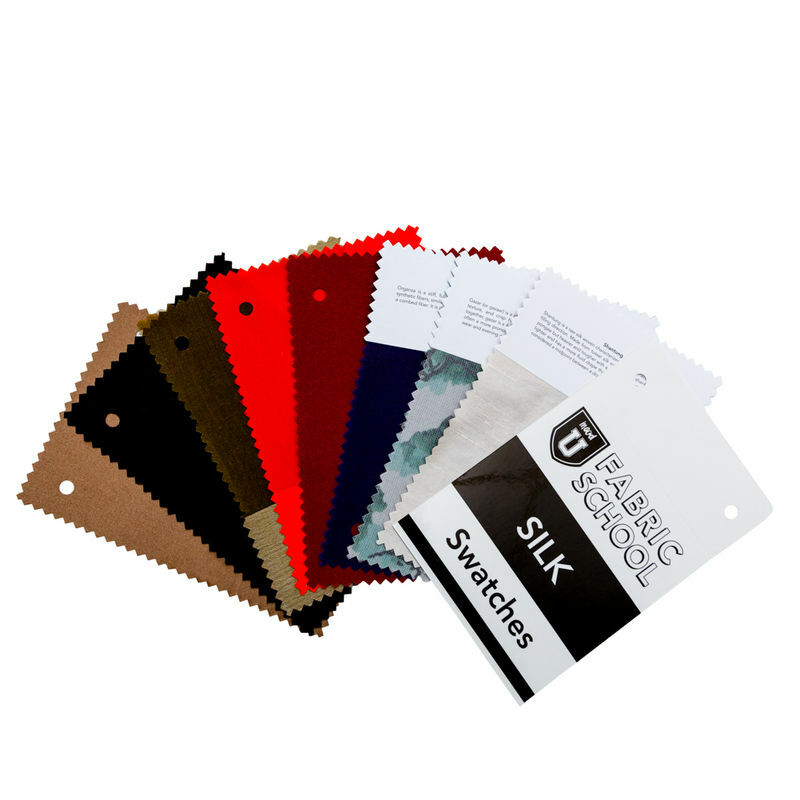 Whether you are looking to learn all you can about fibers and fabrics, or trying to update your swatch collection for future endeavors, this Premium Swatch Kit has you on the right path. 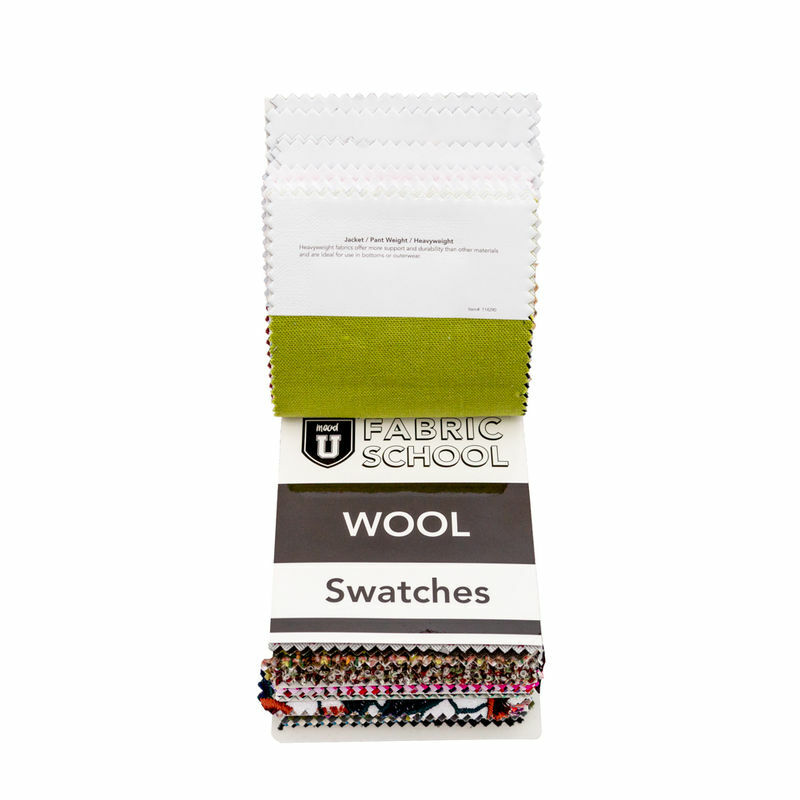 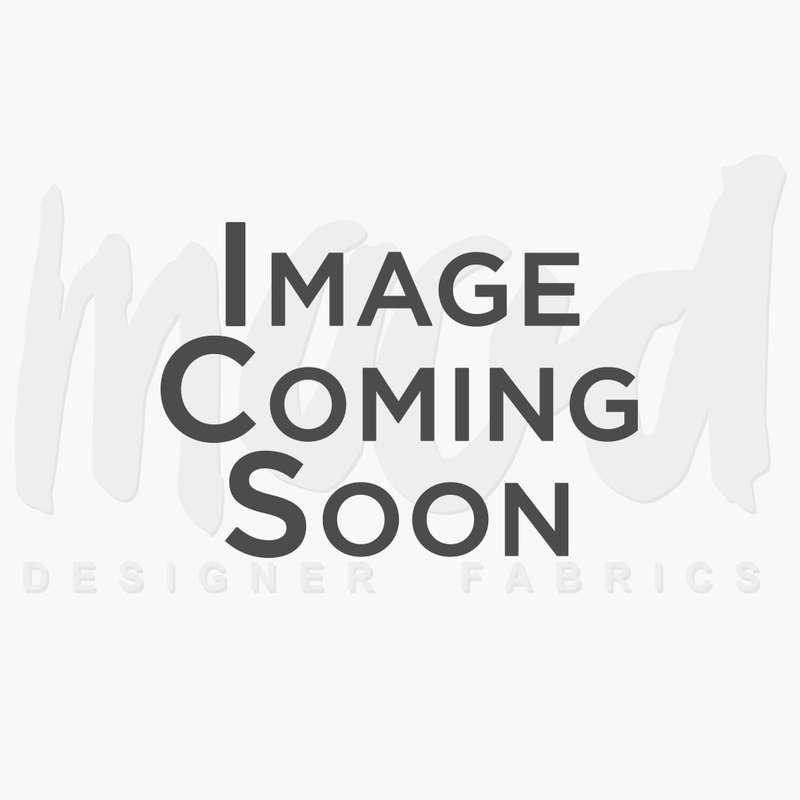 In collaboration with Creativebug and Benjamin Mach, Creative Director of Mood University and two-time Project Runway contestant, Mood has developed a swatch kit to help further one's knowledge on the characteristics of plant fibers, animal fibers and synthetics, and identify the differences between wovens and knits. 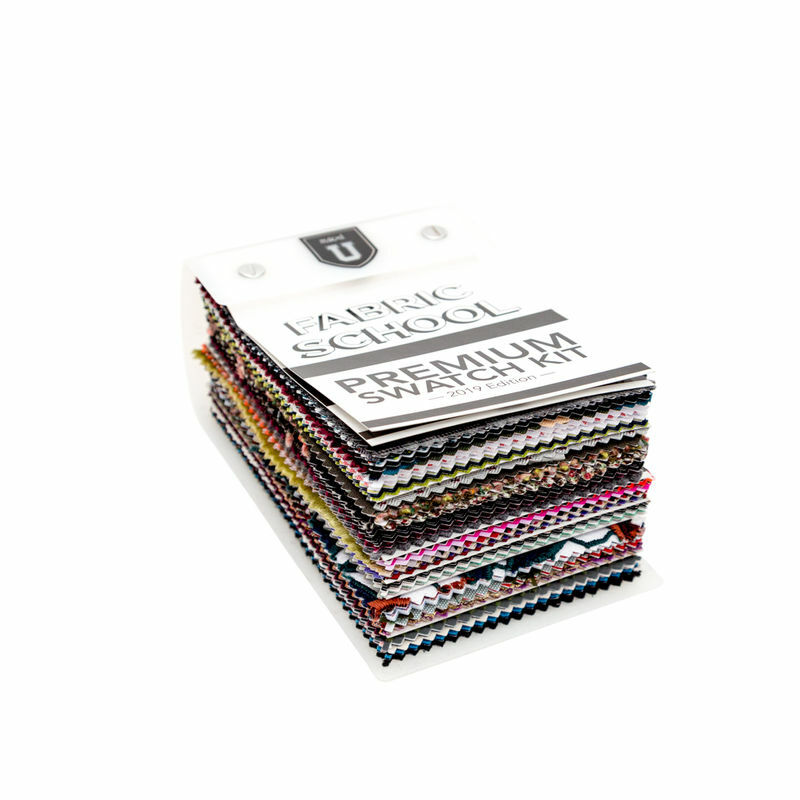 In this Creativebug class, allow Benjamin Mach to take you through the general information one should know about the fabrics we all commonly encounter. 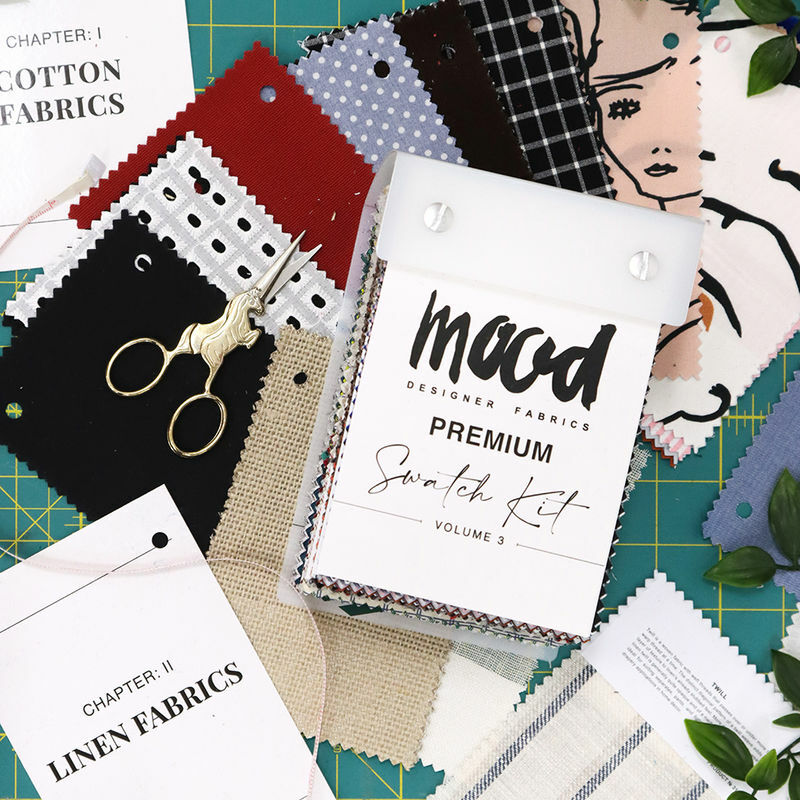 This particular kit features all of the fabrics covered by Benjamin throughout the course (there are 88 swatches to be exact), so place your order for our Mood Premium Swatch Kit today!